Eric Holder still has no intention of suing Colorado for violating federal law regarding use of marijuana. Nor any cities that offer illegal aliens sanctuary. But, he’s going to sue North Carolina over discrimination that hasn’t happened. (Fox News) The Justice Department will announce Monday that it is suing the state of North Carolina for alleged racial discrimination over tough new voting rules. In the North Carolina lawsuit, the person said, the government will challenge requirements in state law that eliminate the first seven days of early voting opportunities and eliminate same-day voter registration during the early voting period. Same-day registration allows voters to cast a ballot immediately after presenting elections officials with proof of their name and home address. So, will Holder sue the majority of US States? 14 states allow straight party voting. North Carolina now joins the 36 other states that do not. 32 states allow early voting ranging from 4 days prior to election day to 45 days with an average 19 days. North Carolina allows 10 days but requires the same number of hours of early voting that was available in 2012 and 2010 when the early voting period was 17 days. Only 1 state allows same day registration during early voting. NC was the only other state to allow this and has now joined 49 states in not allowing same day registration during early voting. 11 states allow same day registration on Election Day. North Carolina does not. 5 states allow 16 and 17 year olds to pre-register to vote. 45 states do not, including now, North Carolina. Illinois and Delaware require voter ID. Hawaii has even stricter voter ID requirements. 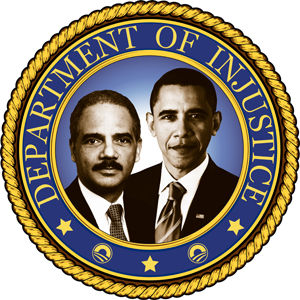 Why is Holder not suing those states?